FedEx to deliver UEFA EURO 2020 as Official Logistics Partner! Home / International Football / Europe / FedEx to deliver UEFA EURO 2020 as Official Logistics Partner! FedEx Express is further extending its support of football in Europe, with the world’s largest express transportation company announcing a new four-year multi-tournament sponsorship deal with UEFA. “We are pleased to welcome FedEx Express into the national team competition sponsor family as our Official Logistics Partner,” said Guy-Laurent Epstein, marketing director of UEFA Events SA. 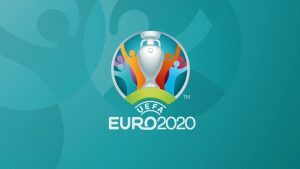 To celebrate the 60th anniversary of the UEFA EURO, the 2020 edition will be the largest in the tournament’s history in terms of host venues, ticket sales and global television audience. FedEx Express’s extensive networks, as well their skilled logistics personnel, will help to support the staging and delivery of UEFA EURO 2020 in 12 host cities* across Europe. “Our commitment to European football is a central part of our community and commercial strategy here in Europe,” said Wouter Roels, senior vice-president, International Marketing, FedEx Express. Previous ATK’s Hitesh Sharma owes a lot to big Brother Eugeneson Lyngdoh! Next NNIS VIDEO: Will AIFF president Praful Patel’s FIFA Council entry help Indian Football?